An alternate universe to The Prestige? A magician I wouldn’t want to get near? See below to watch Danton (portrayed by Durgy Spade) in action, in this picture book short story inspired by The Prestige. Just in time for Hallowe’en! Go ahead, maximize the video, turn up the volume, sit back and enjoy! 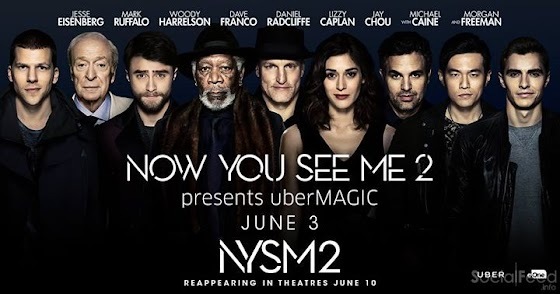 Last month, some of the top magicians in the city – including yours truly – were chosen by Entertainment One (eOne) to run a magical campaign to promote the new hit movie Now You See Me 2. For 4 hours on a particular Friday afternoon, magicians were available on demand in Toronto and Montreal to some very lucky individuals. These magicians showed up to the workplaces of the people who were able to get through to uberMAGIC and perform a short 15 minute magic show. In case you weren’t one of the lucky few who got to experience Magicians on Demand through uberMAGIC to promote Now You See Me 2 (feat. Morgan Freeman, Daniel Radcliffe) – here is what you missed out on! Click here to read more over at Uber. 2015 was the best performance year I have ever had! With constant back to back shows, my last show of the year was a few days after Christmas Day! Thank you to everyone who’s been in support of my work since day one. I love you all. Here’s a clip from the last show of 2015 – Harbir and Asma’s wedding. After witnessing all sorts of magic in Australia, I sit here in the bar of my hotel in Sydney, 15 hours before my flight back home to Toronto- I come to realize how similar yet different magic is across the world. Performers who live and breathe the art, seem to come up with the greatest methods to leave the audience wanting more. It started when I landed in Melbourne, Australia just over 2 weeks ago for some work. 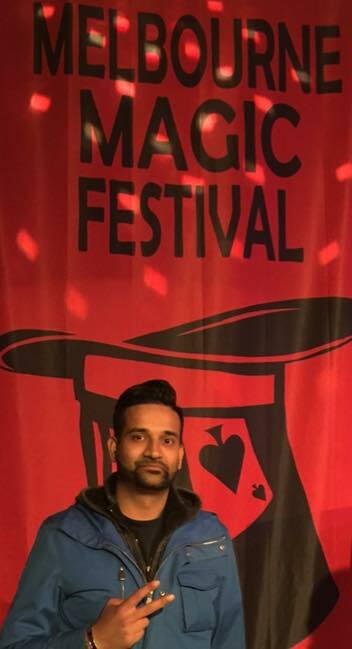 Although I’d be missing FISM in Italy, (often described as the olympics of magic that happens once every three years) I’d be checking out the Melbourne Magic Festival – with some international magic stars of it’s own. Rob Zabrecky (USA) blew me away with his theatrical, magic journey – and although I missed him at Toronto Luminato not too long ago, it was a pleasure to see his work in Melbourne. I had also heard a lot about Pop Haydn – over the years, it was interesting to finally see his “magnetic water” routine. If you ever find yourself in LA, make sure you check Pop out at the Magic Castle where he’s often performing. Checking out the buskers in Melbourne’s South Bank was great to see when they were out. Real. Street. Magic. And just yesterday, I had a short but great magic talk with Tony, owner of Australia’s largest magic shop- Hey Presto Magic. From what it seems, the magic culture in Australia is alive, kicking and growing. All in all, it’s been a great trip to Melbourne and Sydney. I’m looking forward to being home and performing. Which reminds me, in case you show up next Friday, July 24th at The Second City downtown Toronto- you might just see your friendly neighborhood magician doing his thing. Piff the Magic Dragon is back! The world first fell in love with the quirky Piff, the magic Dragon few years back in the UK on Penn and Teller’s Fool Us. This week he appeared on America’s Got Talent. As much as I love the magic seen below, the delivery is what’s most important. And that delivery should be a lesson to all performers, whether you’re a magician, an artist, or an actor. People don’t often remember what you did, but they remember how you made them feel. With all the hustle and bustle in life, I put some time aside to do something very important recently. Proposing to my girlfriend. Someone up there is looking out for me – she said yes. Cheers to the real magical things in life. I saw David lecture a few months back and what an interesting talk. The amount of work that has gone into this 10 minute routine is ridiculous. If you ever have a chance to see him perform, do not miss it! You might remember Canadian magician Darcy Oake from his recent appearance on Britain’s got Talent (perhaps a little strange he didn’t get popular on Canada’s got Talent but who’s questioning that). Well he’s back in a new Tim Horton’s (Timmies as us Canadians refer to it) commercial. Sure you could probably never pull this off in the real world, but it’s still fun to watch. Great job Darcy! Congrats to Germany on winning yesterday’s World Cup! This 2014 football season encouraged me to have a little fun with fans in downtown Toronto. Have a look below! Every now and then, I hit the streets with a bit of magic for everyday people and strangers. It’s not always easy convincing people to try something strange – randomly in the middle of the street as more often than not, they think you’re crazy, or looking for money, or both. Nonetheless, we recently filmed this in the streets of downtown Toronto – enjoy!